Deluxe tray-cased leatherbound edition limited to 500 copies worldwide - signed by Christopher Tolkien and Bill Sanderson. 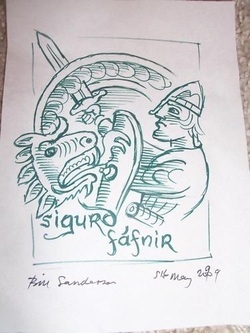 Includes full page hand-drawn image of Sigurd's horse - signed and dated by Bill Sanderson. Additional pictures available upon request. 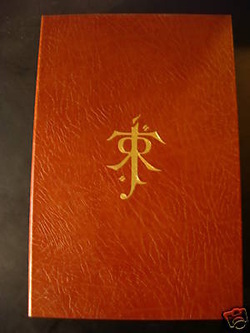 Containing a facsimile page of original manuscript, it is hand-bound in goat-skin and features raised spine ribs; the pages are edged in gold. 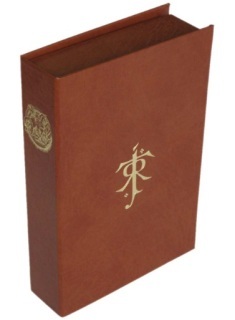 The book is housed in a matching leather traycase lined in real suede and protected in its own shipping carton. 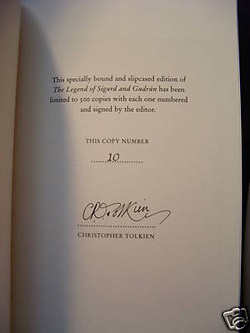 In fine condition - good clean tight pages, in mint, unread condition and signed by Christopher Tolkien. These are one of only ten copies IN THE WORLD with a hand-drawn remarque, and signed and dated by the artist William Sanderson. Note - each copy may differ, and you may not get the one shown below. Many years ago, J.R.R. 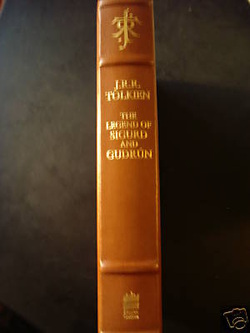 Tolkien composed his own version, now published for the first time, of the great legend of Northern antiquity, in two closely related poems to which he gave the titles The New Lay of the Völsungs and The New Lay of Gudrún. 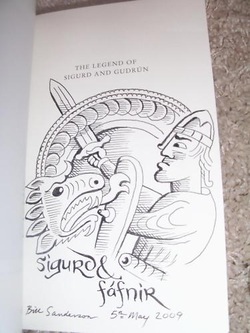 In the Lay of the Völsungs is told the ancestry of the great hero Sigurd, the slayer of Fáfnir most celebrated of dragons, whose treasure he took for his own; of his awakening of the Valkyrie Brynhild who slept surrounded by a wall of fire, and of their betrothal; and of his coming to the court of the great princes who were named the Niflungs (or Nibelungs), with whom he entered into blood-brotherhood. In that court there sprang great love but also great hate, brought about by the power of the enchantress, mother of the Niflungs, skilled in the arts of magic, of shape-changing and potions of forgetfulness. In scenes of dramatic intensity, of confusion of identity, thwarted passion, jealousy and bitter strife, the tragedy of Sigurd and Brynhild, of Gunnar the Niflung and Gudrún his sister, mounts to its end in the murder of Sigurd at the hands of his blood-brothers, the suicide of Brynhild, and the despair of Gudrún. In the Lay of Gudrún her fate after the death of Sigurd is told, her marriage against her will to the mighty Atli, ruler of the Huns (the Attila of history), his murder of her brothers the Niflung lords, and her hideous revenge.